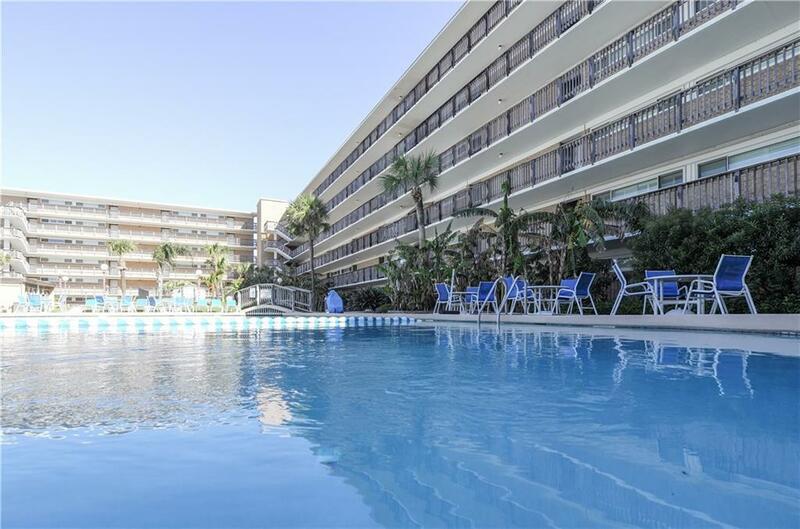 If you like swimming, fishing, surfing, beach combing or just relaxing, this is the beachfront condo for you. Steps from the beach. 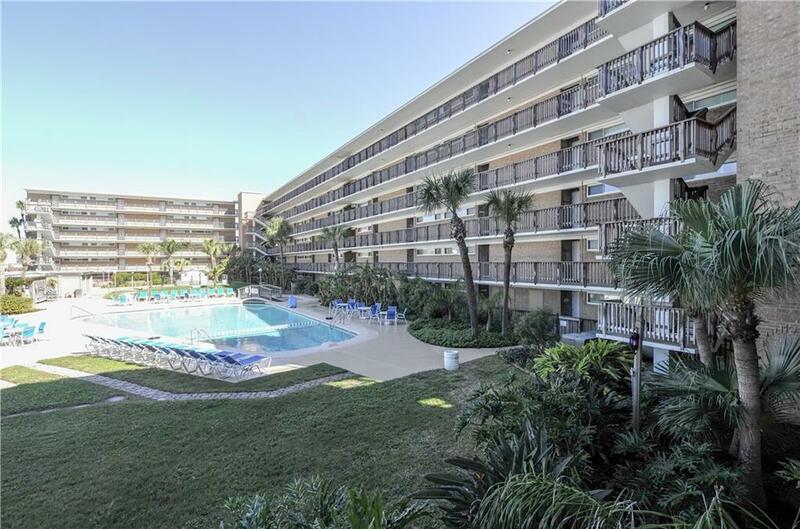 This 2 bedroom, 2 bath furnished unit is move-in ready. Coastal contemporary style and decor makes your stay a comfortable fun one. Sleeping for six. 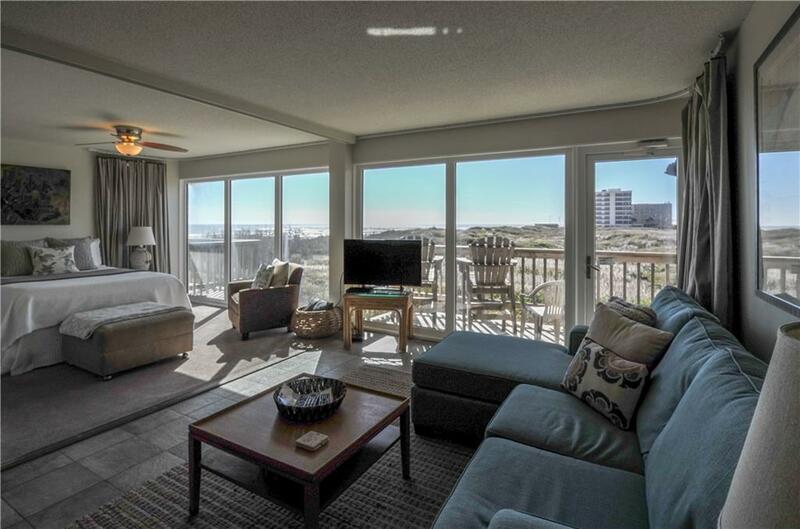 Ceiling to floor windows offer a GREAT view of the beach as well as the dunes. You will want to spend some time in the very inviting kitchen with stainless appliances and earthtone tile counters. It's a very popular unit in the Gulfstream rental program. 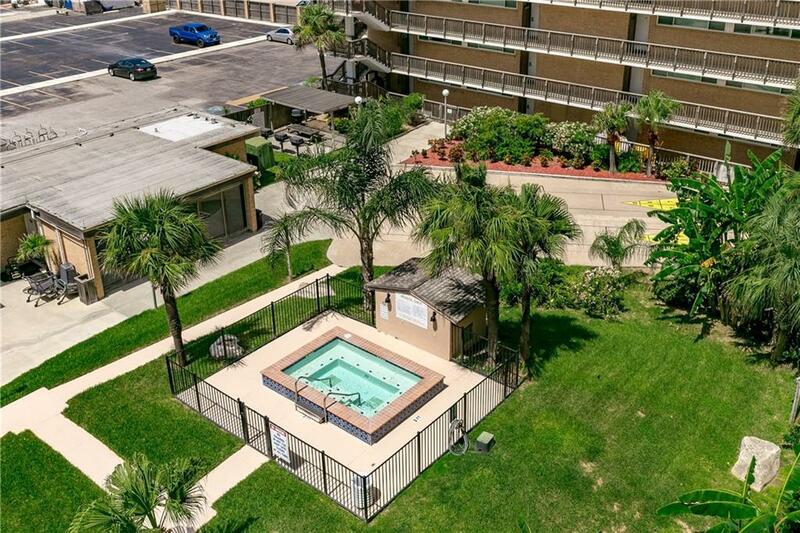 Relax in or around the large heated pool with play pool or enjoy the hottub. Be surrounded by tropical trees, schrubs and flowers. Just a short walk to Packery Channel to fish or watch the turtles feed along the rock groins. Gulfstream is centrally located on the Island and minutes from great restaurants, the National Seashore and Schlitterbahn WaterPark.